It’s that time again! The mornings are dark and the air is crisp - yep, winter has arrived! And we're paddling south to run the surf lessons at Leighton Beach in Fremantle. So we thought we'd give you some insight into this beautiful beach. Leighton Beach is located just north of Port Beach and just south of Cottesloe. Gentle waves break over a sandy bottom, making them smaller in size than the waves reaching the beaches around Scarborough. 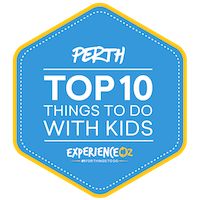 For more information about why that is, check out our previous Where to Surf in Perth blog article. This is important to know as waves and cold temperatures are the main reasons why beginner surfers go into hibernation-mode and stop surfing in winter. Luckily, this is only partly true. While the air temperature does indeed drop, the water temperature remains largely the same hovering around a beautiful 18 – 19 degrees celcius. Go Surf's meeting spot is right in the middle of this great beach and the easiest way to find us is to head to our website and check out the map and information page here. You can also type “perth go surf winter lessons” into Google maps and it will lead you straight to where we are. Thank you, technology! If you're not a driver, the North Fremantle train station provides easy access to our location and is only a 4-minute walk away. And if you’re hungry after catching some waves, or want to warm up with a hot cuppa coffee, we recommend visiting Anne and Trevor at The Orange Box, a great little café which is only a 2-minute walk. If you are unable to make the lessons at Leighton we are still able to run private, multi-private and surfboard hire at Brighton Beach. Lesson times and days will depend on the weather forecast and availability. If you are interested in this option please contact us directly at info@gosurfperth.com. We hope everyone has enjoyed their surfing lessons and courses with Go Surf this summer, and we can't wait to sea you back on board at Leighton! Go Surf Perth in Winter! How to Repair & Care for your wetsuit!